The UK has historically been the largest market for the distribution of Irish investment funds. Figures from 2018 record 3272 Irish investment funds registered for sale in the United Kingdom. More than one third of all managers establishing funds in Ireland are based in the UK. Irish UCITS and AIFMs currently enjoy the benefits of their respective passports to market into the UK. One of the many Brexit related practicalities that Irish funds have been tackling is how to ensure continued marketing access to the UK if the passport falls away in a no-deal Brexit. The European Council and the UK government have agreed on a delay to the process of the UK's withdrawal from the EU. The original date of 29 March 2019 is no longer exit day and, at the time this article is published, a no-deal Brexit is still possible although the exit date has been pushed out to 31 October 2019 to allow time to agree withdrawal terms. Stephen Carson, resident partner in A&L Goodbody's London office, commented "Following the announcement that MoUs will be in place, ensuring managers have access to the TPR for Irish funds registered in the UK became a priority for clients as part of their Brexit contingency planning. We have been working with a broad range of UCITS and alternative managers to ensure they have continued access to this vital market for asset raising." In December 2017 the UK Government confirmed it would legislate to establish a temporary permissions regime or TPR for inbound passported firms and funds. This would enable them to continue their activities in the UK for a limited period after withdrawal. Then, in March 2018, the UK and the EU reached an agreement on the terms of an implementation period following the UK’s withdrawal from the EU. Following approval of a withdrawal agreement, the implementation period would operate from – at the time - 29 March 2019 until the end of December 2020. For Irish funds to continue marketing in the UK, this meant there would be two alternative routes: if there is a deal then the terms of the withdrawal agreement and implementation period would apply after exit day and if there is no deal, then the TPR would apply. HM Treasury published guidance and draft legislation in July 2018 enabling the Financial Conduct Authority in the UK (FCA) to provide a roadmap for funds to continue marketing into the UK after exit day in a no deal scenario. The FCA issued a consultation in October 2018 and the practical application of the TPR continues to be an evolving process. 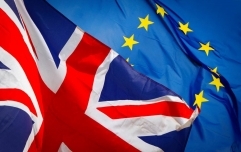 If the UK leaves the EU without signing the withdrawal agreement and its corresponding implementation period, the TPR will allow Irish UCITS and AIFs to continue to access the UK market, for a limited time, while seeking recognition in the UK. Fund managers need to notify the FCA if they wish to use the regime within the notification window which opened on 7 January 2019 and originally was to close on 28 March 2019. As a result of the EU and UK's agreement to delay exit day, the FCA intends to extend its notification window to 30 May 2019. The FCA informed practitioners that there are some actions fund managers can take before the window closes which will smooth the way for an orderly entry into the TPR. This includes ensuring registration onthe FCA's online application system Connect and that relevant fund details on record with the FCA are correct and up to date. Mary McKenna, partner at A&L Goodbody commented "The A&L Goodbody Foreign Registrations team has been engaging closely with the FCA since the TPR consultation issued and as they refine the practical application of the TPR. The FCA has been helpful and responsive to queries raised." Any funds which have been authorised or approved by the Central Bank and for which marketing in the UK is being considered should apply to be registered for marketing in the UK before 30 May to be able to access the TPR. 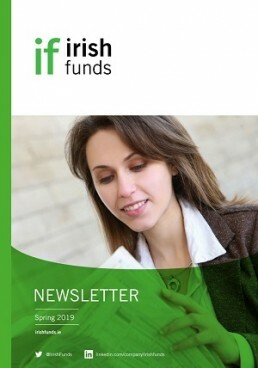 The CSSF has asked Luxembourg funds making use of the TPR to notify them. To date, the Central Bank of Ireland has not requested a similar notification in respect of Irish funds. Once the notification window closes, fund managers that have not submitted a notification for a fund will be unable to use the TPR for this fund and, after exit day, will not be able to continue marketing the fund in the UK. The FCA clarified that where an EEA authorised umbrella UCITS which has accessed the TPR prior to exit day and establishes a new sub-fund after exit day, that new sub-fund can access the TPR after exit day. The position for AIFs is different. Whereas the UCITS passport is at the product level, the AIFMD passport is at the AIFM level. The FCA has advised that new AIF sub-funds of an umbrella AIF that accesses the TPR prior to exit day and establishes a new sub-fund after exit day can market into the UK using the National Private Placement Regime (NPPR). While not the FCA's current position, there is an argument that the same exception could be permitted for new sub-funds of umbrella AIFs that have already accessed the TPR. While there has been a good degree of clarity around how funds can access the TPR, there is less certainty about the exit process. Once in the TPR, investment funds will be able to continue marketing to investors in the UK for up to three years. They will be given a ‘landing slot’ to submit an application/notification for recognition. Consequently, the period spent in the TPR will vary from fund to fund depending on the landing slot. Information on exiting has yet to be made available by HM Treasury or the FCA. The FCA said in the consultation paper that it will publish final versions of the TPR materials close to exit day. "For now, it is important to have clarity on the entry requirements to the TPR" says Mary McKenna. "The application process and exit mechanism can become clear and be fine-tuned as the TPR evolves. It is not critical to the success of the TPR that these elements of the process are finalised before exit day." 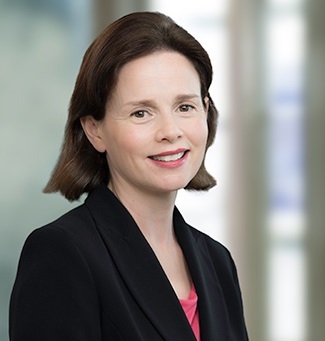 Ann Shiels is an Associate and Knowledge Lawyer and in A&L Goodbody’s Asset Management & Investment Funds group.